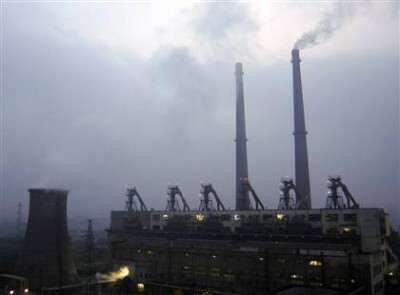 The European Union said Thursday it will give China up to euro50 million ($70 million) to build a carbon capture and storage plant that will test a technology aimed at limiting climate change. The world’s most populous continent, with the fastest-growing economies in China and India, already accounts for a third of world emissions of gases blamed for warming weather, including carbon dioxide, the Asian Development Bank has said. The EU is asking other European governments to contribute more public money to the China carbon capture and storage plant project, saying the technology “would be significantly delayed without immediate assistance from developed countries.” This could help trigger more private funding, it says. The European Commission is pledging euro7 million of EU money immediately to check if a plant would be feasible and is prepared to give up to euro50 million “provided there is continued political support from China and satisfactory progress” with the project. It says it also expects funding from China. Adding carbon capture and storage to a new power plant burning coal could cost an extra euro980 million ($1.4 billion), it said. Carbon capture and storage could shave some 10 percent off global gas emissions by 2030, the EU says. A panel of United Nations scientists recommend that emissions must be halved by 2050 to avoid a catastrophic rise in sea levels, harsher storms and droughts and climate disruptions. But some environmentalists are critical about investing heavily in a technology that they say keeps the energy sector hooked on polluting coal and gas instead of shifting faster to zero-carbon renewable sources such as wind or solar power.